Artillery rounds explode into the foliage of a battle ground as two tanks on either side of the fight inch their turrets toward their intended target, their movement undeterred by the destruction around them. They can’t be distracted – they would die if they allowed that to happen. 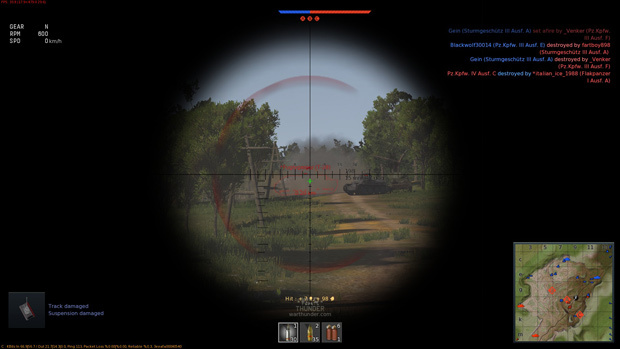 Regardless, one tank finds their mark faster than the other, unleashing its payload right through the driver’s slit of the enemy tank, killing the crew instantly. As the victorious tank commander views the burning husk of his foe he comes to realize that, in the midst of this dance with the opponent, his tank had been out in the open – his crew and vehicle are sitting ducks. Then, before the commander can give the order to move out, he spots another tank. This one had been watching. This one had its gun trained at its mark. This one was ready to avenge. 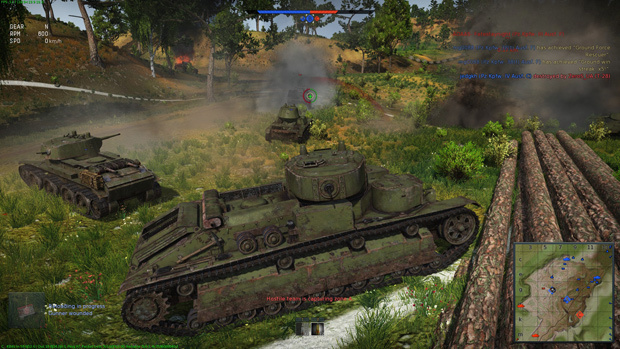 Ground Forces is an extension of the air combat game War Thunder, by Gaijin Entertainment. The above scenario is something that has happened to me on my playthroughs in the open beta. Well, it isn’t quite that dramatic, but the relatively slower pace of the game, due to its skew towards realism, helps to create situations like that. You can get the sense of that realism as you head into battle. But even before you play, the game invokes a sense of authenticity. Little tidbits of historical information show up on loading screens. Tanks are separated by country of origin and are designed to look like their real life counterparts. Even the sepia tone photos that accompany each unit card were designed to look like they were taken from a long gone era. Even if you ignore these details, you will notice that there are a lot of tanks to choose from. 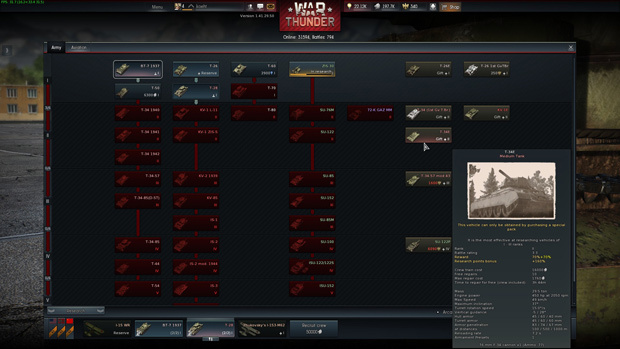 The menu where you select units also serve as a tech tree of sorts: you play a tank in one branch, and eventually you will earn enough to move up to the next tier of tank in that branch. Once you’ve earned enough research points to unlock a weapon of treaded destruction, you can buy it with currency, both earned in game and through cold hard cash. But before any of that, you start out with a fairly weak tank. And, well, let’s just say that things get worse before they get better. 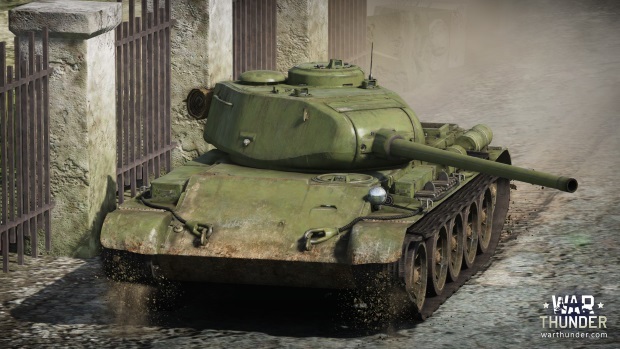 You will take your wimpy tank into “Arcade,” “Realistic,” and “Simulator” battles. These choices affect things like spawn points and how forgiving damage is to your combat effectiveness. Even if you play the seemingly more forgiving “Arcade” mode, you will have a hard time if you are not careful. Your tank will move slowly as it climbs hills and or treads rougher terrain. Should you run into a burly tree at high speed you can damage your treads, which will affect your movement speed or completely disable it altogether. This is because the game leans more toward the simulation end of things, where even the slightest compromise to your vehicle can greatly affect how your tank controls. In Ground Forces, caution is the word of the day. 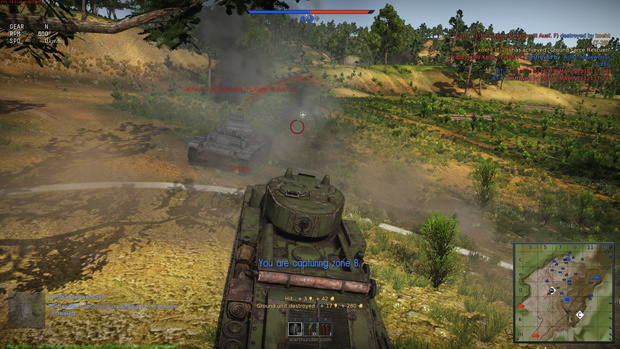 Because your tank is so fragile, you have to practice tactical maneuvering and targeting. You can’t just rush in, turrets blazing and treads tearing up the dirt, since it’s easy for your starter tank to get one-shotted into oblivion before you get anywhere near the opposing force. 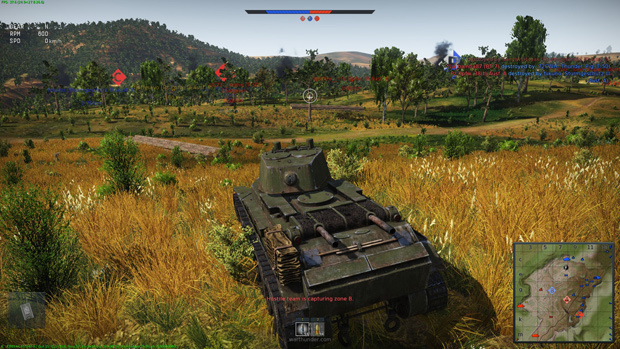 Instead, I found that the optimal playstyle is to stay behind the lines, perhaps barely cresting a hill, letting your beefier teammates trade hits with the enemy while you line up that perfect long range shot to kill a weakened or unassuming enemy, earning those research points and lion marks you need in order to buy that better tank. And maybe, after that fifth tank kill, you’ll hope that you finally earned enough research points. Or maybe you’ll say “screw it” and roll into the chaos. I’ve found myself doing this a few times, and though my survivability dropped by quite a bit, it was a break from the slow, methodical play that I was doing earlier. Heck, sometimes I was able to land a killing shot while on the move anyway. Whether you have been benched for the match or are in the thick of the fighting, you may run the risk of looking around and taking in the carnage. While this isn’t the best looking game, what it does with its looks is commendable. Care has been taken to render the tanks with detail. I know that I appreciated the fact that I was able to tell the difference between a German tank and my Russian comrades based on how much more angular their tanks were compared to ours. The visuals also impress when tanks are on the move: treads roll convincingly and small machine guns jut out at the sides like antennas. Fire the main gun and the screen shakes, emitting the sense of power that these machines are known for. That shaky screen is also accompanied by the loud explosion of gunpowder along with the clank and ping of metal as your tank resists the force of its launched ordnance. Treads and their wheels creak. The engines that power the tanks sputter and rumble as you lumber along. The sound design is good. 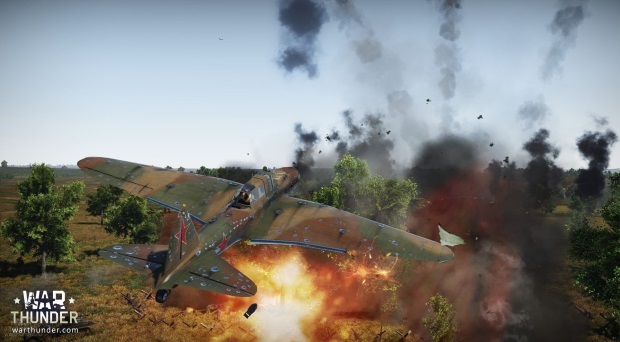 There is good reason that Ground Forces is not its own separate piece of software – it’s because of the potential for ground and air combat: tanks duking it out on hillsides while planes dogfight overhead. I say potential because currently it’s not fully baked and has gone through changes over the course of the beta. When I first logged in, I saw a couple of dogfights. 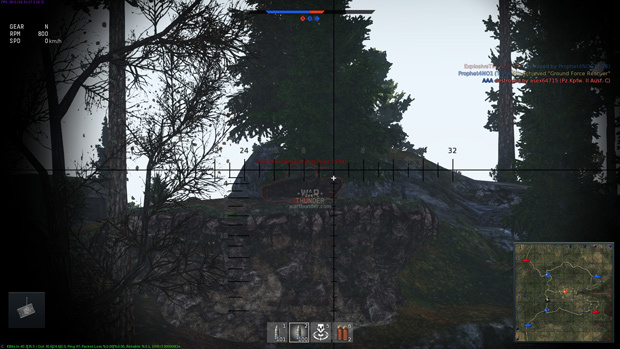 I even got bombed to smithereens by one of the enemy planes. However, by the time I decided to try for the skies, I couldn’t fly my plane near the ground battle because of NPC anti-aircraft guns. And now, as of the time of this writing, the feature has been removed, with the promise of bringing it back at a later date. 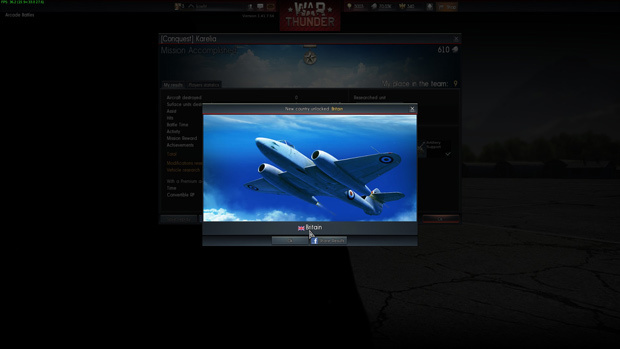 For what it’s worth, I hope that they iron out all the kinks and allow the planes to fly over the tanks again. I also hope that they find a way to balance the gameplay for these combined forces. 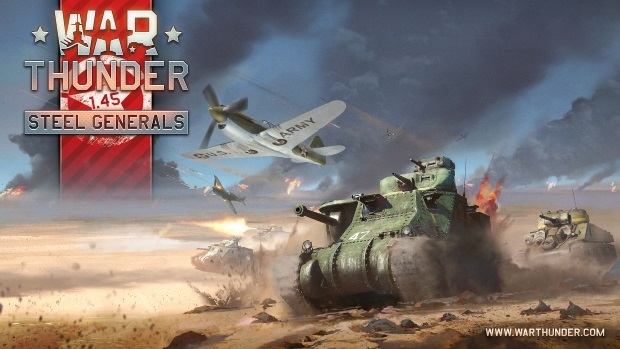 If they pull this off, then simultaneous plane and tank combat would be one of Warthunder’s best selling points. 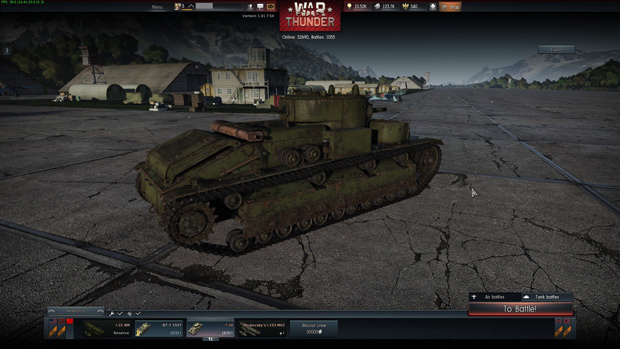 I’ve had a good experience with the War Thunder: Ground Forces open beta. 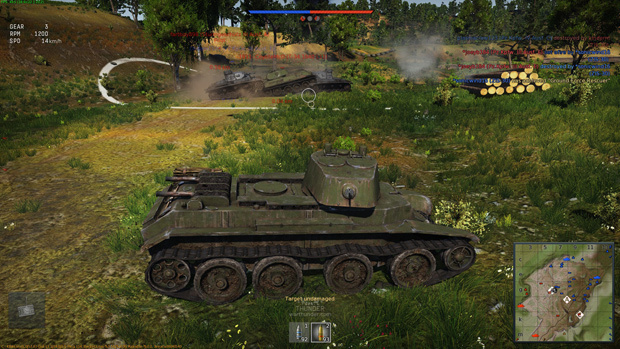 The game’s push for authenticity ensures that combat is generally slow (cause, you know, tanks), but also tactical. You can make your way through the game without plunking down cash, though, like most games with this business model, you can speed up your progress if you do. Overall, it’s a fun diversion, and I would recommend that you at least try it out. And, while you’re at it, try out the planes too – they’re pretty cool.